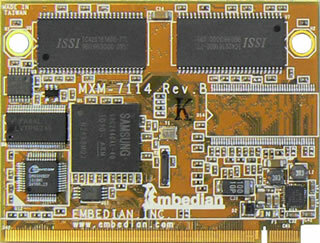 MXM series computer on module uses MXM 1.0 as the interface connector. 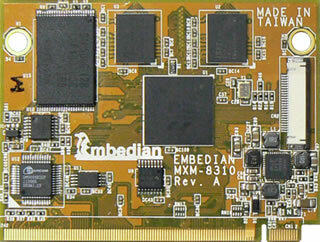 Embedian is the first company that applies MXM connector into industrial application. 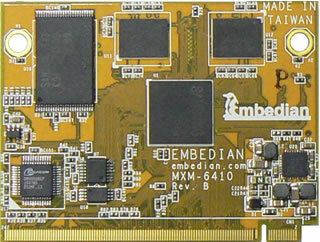 MXM series computer on module perfectly meets your custom application requirements while helping you reach your goals for time-to-market, saving money, design flexibility and minimizing risk. 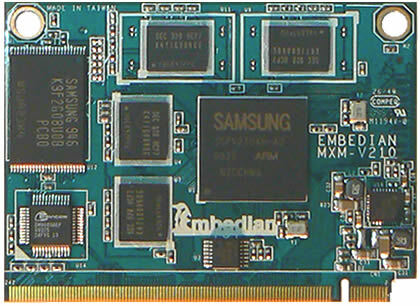 With versatile portfolio of low-power CPU available from ARM9, ARM11, XSCALE and Cortex-A8 supporting fanless operation, your system will enjoy the benefits of best performance-to-watt.